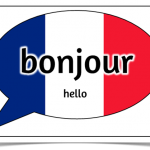 Learn French for everyday situations, introduce yourself, greet other, order meals and engage in basic conversations. Suitable for those with no previous experience. This class will further develop your skills in reading, writing and speaking French. For those with 6 – 12 months experience. Challenge your grammar and language skills using your previous knowledge. This is a practical course that will help you with everyday situations. Assumes 12 months previous tuition. An interesting and practical course allowing you to practice your conversational skills while continuing to develop grammatical concepts. This course assumes 4 years of previous tuition. Courses are ongoing throughout the year and you are welcome to join at any time. Please contact the Office to discuss your previous experience and confirm suitability.